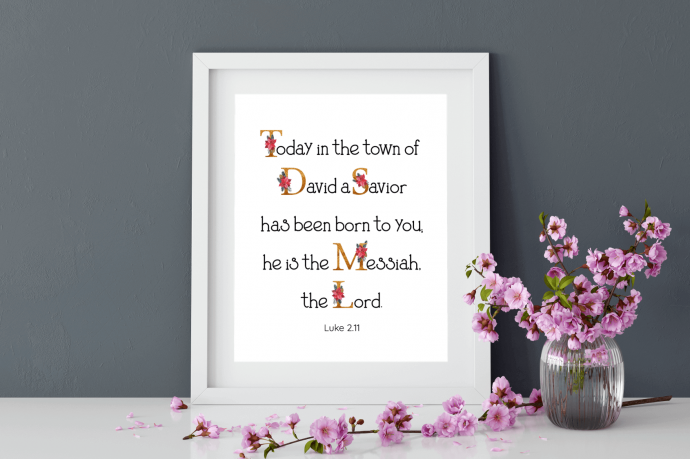 As this month is the holiday season, this month’s scripture quote printable is about the birth of Jesus and is taken from Luke 2.11. 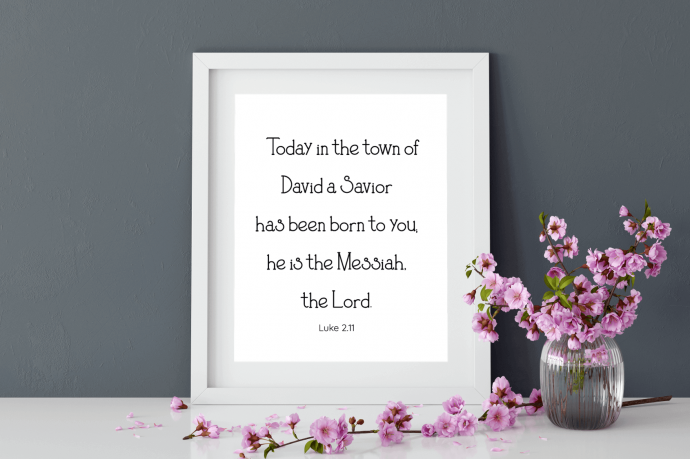 There are four different designs, all of which are available in PDF format, sizes 8 x 10 and 5 x 7. If you would like to resize the print, please see the FAQ page for instructions. 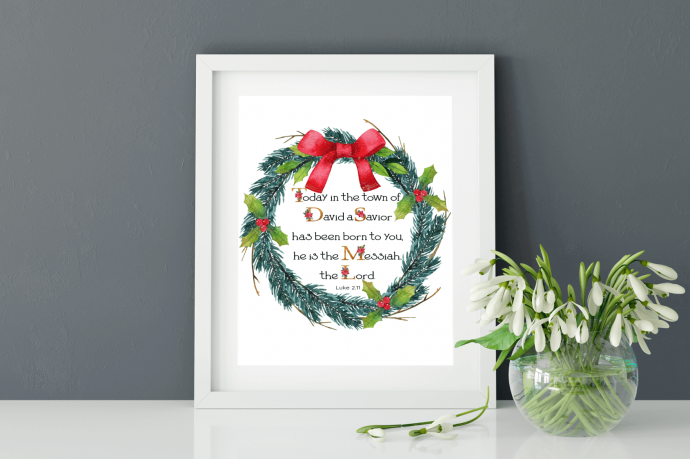 Interested in more printable art? 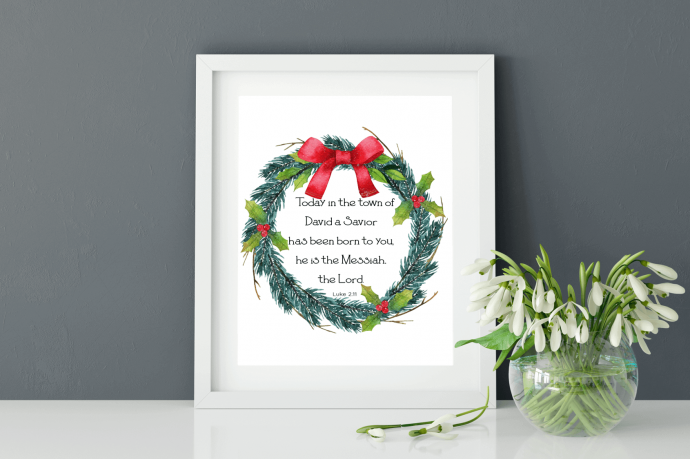 Follow my “Printable Art” board on Pinterest to be kept up to date on the latest prints from around the internet.